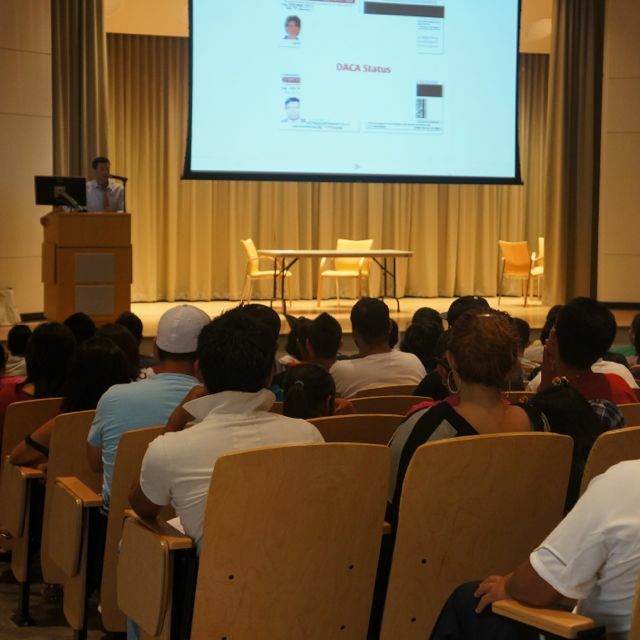 On August 15, ILG hosted a legal clinic to assist youth with their applications for immigration status under the Deferred Action for Childhood Arrivals program. More than 200 youth attended. ILG attorneys provided free legal screening on site in private face to face sessions and offered additional off-site free screening to those who attended the PCC-Cascade workshop. Couldn’t attend the workshop? Need help with a DACA application? We can help. ILG has a special campaign to help screen and represent DACA-eligible youth. The details of the program — and how to get help — are available here.